Padma Hepaten is a Tibetan herb formulation made in Switzerland in strict accordance with the principles of Tibetan medicine. The preparation is based on one of the classic ‘ Bras bu 3 thang (pronounced: The boe) recipes. According to the herbal medicine has the cooling properties and harmonises the the three energies loeng (wind), tripa (gal) and pégèn (mucus). Further promotes the preparation galenergie streaming and it is good for the body heat. 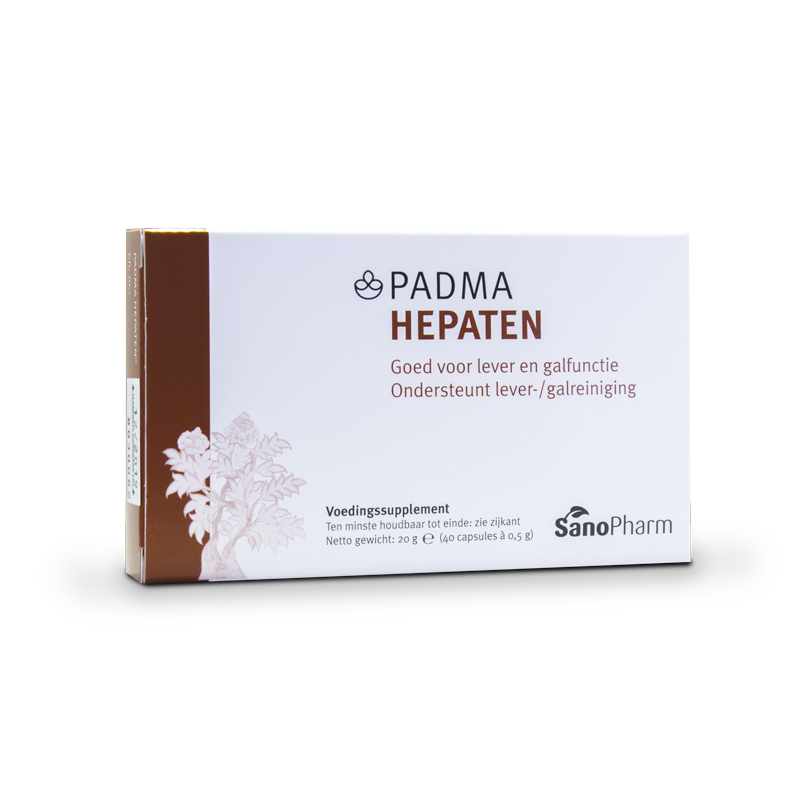 Padma Hepaten is used as the liver function is weakened, for example after a liver inflammation or after complaints to the gallbladder. Indications for a reduced liver function include fatigue, less pull to eat, bloating and moodiness. Padma Hepaten also stimulates gently the intestine activity. Ingredients:Terminalia chebula 200 mg, Phyllanthus emblica L. 100 mg, Terminalia bellirica 100 mg, Cholintartrat 40 mg. Supports liver and gall bladder. Maintains proper function of the liver and gall bladder. Unless directed otherwise, take 1 or 2 capsule once a day before the meal with plenty of water. This formula is not intended for children below 12 years of age.